Las Damas de Blanco (The Ladies in White) is a group of almost suicidally brave Cuban women. The group formed in 2003 after the Cuban dictatorship arrested seventy-five journalists, librarians, and human rights defenders. The individuals were arrested in clear violation of Article 19 of the International Covenant on Civil and Political Rights, which guarantees the right to “seek, receive, and impart information and ideas of all kinds, regardless of frontiers, either orally, in writing or in print, in the form of art, or through any other media of his choice.” The individuals were convicted at summary trials sentenced to prison terms of up to twenty-eight years. The Ladies in White gather at St. Rita’s Church to pray for their imprisoned relatives. After each Mass, the women walk to a nearby park. During the walk, each lady in white wears a button with a picture of her imprisoned relative and the number of years for which he is to be jailed. The Cuban government has repetitively blocked the womens walk, organized thugs to assault the women during their journey, dragged the ladies from their walk into police custody, and ransacked their homes. In March of last year, nine of the ladies had to seek hospital treatment after a particularly bad Sunday. The President of the European Parliament has condemned the police brutality which led to these injuries. Amnesty International has called on the Cuban regime to guarantee the women’s security and to stop repressing legitimate dissident and harassing those who are only asking for justice and the right to exercise their freedom of expression. The Cuba Study Group decried the event as evidence of the Cuban government’s continued use of repression and intimidation of its own people. On Aug. 7, as on every Sunday since March 30, 2003, the Ladies in White attended church at the Santa Rita de Casia Church and walked down the middle of Fifth Avenue in Miramar, Havana. But this wasn’t an ordinary Sunday. 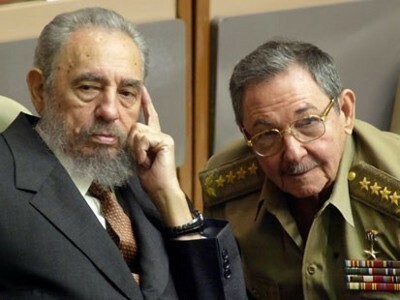 It was the Sunday after the provisional delegation of power by Fidel Castro to Raúl Castro and five other Cuban leaders. This movement of the Cuban civil society does not have a political nature, ideological preferences or confessional exclusions. We do not challenge and we’re not a party. We have neither a spokeswoman nor a hierarchy. We are the voices of the 75 innocent prisoners of conscience, imprisoned during the Black Spring of 2003, and our families. We have suffered much, but we harbor neither hatred nor resentment. If anything has become evident this week, it’s that the government of Cuba must open itself to its people and simultaneously to the world. The inner fear can be smelled, can be felt on the empty streets of Havana and in cities and towns all over the country. . . . The quiet and timorous commentaries do not match the noisy and fun-loving idiosyncrasy [of the Cuban people]. But the causes of this unreal calm make no one feel comfortable in the stillness and near absence of the habitual sounds. It’s as if everyone had come to a halt, astonished. We have felt the surveillance, and sensed the repressive elements preparing to act at the slightest signal. Cuba will never again be the same. The people deserve the right to express themselves without fear, to know what’s happening, to contribute their opinions, to participate in the decisions, to really be the masters of their fate, to help our homeland to recover economically and join the international commonwealth. One of the first steps has to be the release of the 75 prisoners of conscience, those people sentenced unjustly in March 2003 to terms of up to 28 years; the 60 who are in prison and the 12 who have been released on parole for reasons of health and remain in the country; as well as the release of the other peaceful prisoners of conscience and political prisoners, including those who have been awaiting charges and trials since July 2005. We Ladies in White aspire to live in liberty and democracy. We miss the respect for our rights and the peace among us all. These have been very important issues for Cubans for centuries now, an importance that was evidenced in the outstanding role played by Cuba in the drafting of the United Nations’ Universal Declaration of Human Rights, adopted in 1948, and many other examples. We shall not give up in our efforts, and even though we are unprotected women, we are filled with immense tenacity and passion for our relatives, our people and our homeland. Not always will there be many of us; everyone knows the many difficulties that exist in our country and the repression against us all. But every Sunday, and whenever it’s opportune, we shall be together and will surely redouble our efforts to participate. This seventh day of August, we walked with our traditional gladiolus in one hand and white lilies in the other, as signs of peace and love. We shall continue to struggle, because we are convinced that nothing is impossible if reason is on our side. The leftist regime in Cuba currently holds approximately two hundred political prisoners and has resisted all domestic and international pressure to improve human rights. These peaceful brave and courageuous ladies are seen by the Cuban government as a threat to the essence of their existence, which has gone uninterrupted since 1959, now for 51 years. How long must the suffering Cuban people endure this.